It does spread VERY easily, but it's shallow-rooted and easy to pull up. Although most sedums are edible, this one is one of the best tasting varieties. Traditionally used in some Asian cultures as a spring salad green, cooked, or in pickles. You'll often find it on sale at Korean markets in the produce section. Although other sedums may be more attractive, I think this one looks very pretty with its brighter green color. 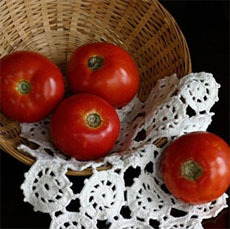 I use it as an edible ornamental along with creeping thymes between pavers and the blocks that make up my garden beds. Seems to take both sun and shade in stride, very drought tolerant. This is a particularly nasty garden thug. 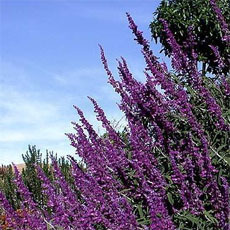 Spreads very rapidly, and is hard to get rid of once it's got its roots in the ground. 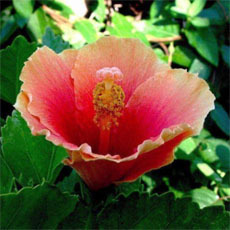 It makes growing many other garden plants difficult to impossible. There are many prettier sedums that do not become noxious weeds. In one garden I managed to confine it to a windowbox, where it has overwintered well for over 10 years here in Z6a Boston. It drops pieces on the stone path beneath, but I take pains to remove those that root in the cracks. I had a bunch of this die on me but I found it growing freely along the local greenbelt. I took up a large amount of it and planted it in a hanging basket. It is doing VERY well. I love it!!! This spread throughout my yard during a period of about 2 years, and this year it has reached a critical mass. It's everywhere, and now it has invaded a wooded area where I'm trying to establish some rare plants. I The USDA lists a closely related species, sedum acre, as an invasive plant in Canada and the lower 48 states. Do yourself and your neighbors a favor, not to mention the critters that depend on the other plants growing in your yard, and don't use this pretty little plant. Much too aggressive for me. Runs rampant and even frequently removing all pieces I can see doesn't stop it. Must be growing underground and not yet emerged. Looks like I'll have to remove and pot all plants in the area to try and eliminate it. The lime-green foliage is a nice contrast to the bluer-green of the majority of the garden plants. Unfortunately, with this growth rate, it's going to be some work to keep it contained in future years. I want it in the wall, but not covering the entire wall, & not in the lawn, flower beds, etc. I love the thick sea of green and yellow this plant presents when growing over rocks. One thing I've noticed is how the green bottle flies love the flowers of this plant so you might reconsider planting close to your patio or porch. 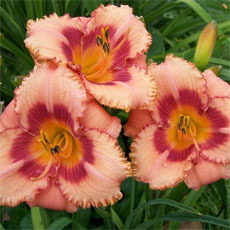 To control it as a border I just simply pull it up periodically otherwise it will choke all other plants. In the winter it dies back to the surface resembling miniature hens and chicks. Not really an attractive sedum. Spreads really fast, but does tear out fairly easily. It does grow where other things won't, but I can easily think of other Sedums I'd rather have. Awesome ground cover. I love the way it fills in the spaces between my patio blocks. This has been a very tough ground cover for me and has stood up to the test of kids trompling all over it and dogs running across it day in and day out. It always looks pretty and is very easy to control by just pulling up what you dont want. Comes up with very little effort. If you want it to fill in another area just pull some up and pitch it where you want it. It will plant itself. Sedum does very well in my garden..it fills the gaps between my stepping stones and it is a nice roof cover for my garden shed. All sedums are very usefull for that purpose...it needs very less soil to grow and can stand extreme conditions like heat, drought, sun. It makes a nice tapestry on very dull roofs. I am building a rock garden on a steep sandy slope- very poor soil. As invasive as this is, it does a nice job of covering areas where things haven't filled in yet. I love the way it climbs and drapes in steep cracks, like green fire. I rip it out by the handfuls every year, but it's easier to pull than a lot of the weeds, so it if isn't killing some other plant I wait till it blooms, and then rip it back. 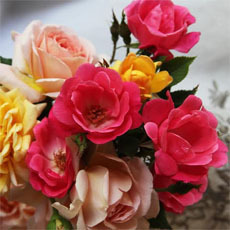 The poor soil also keeps it a little smaller and more dainty. I've seen it get leggy and coarse in good soil. I give it a positive rating, however! I give it a negative rating for the way it attracts a million bees and for the way it ate my other plants! I used to have orange verbena and bachelor buttons, but no more! It has spread so fast, it makes my head spin, but it IS pretty. I will have to remove some this year and put brick edging to contain it in a flower bed. It has planted itself on the other side of the yard and I will probably not let it stay. This started blooming yellow flowers in April in Texas! Extremely invasive. I found it growing on compacted soil in my brother's lawn. I took a couple of plugs home, planted them in good soil and in two months time I had to yank a lot of it out. It is by far the fastest growing garden plant I've had. 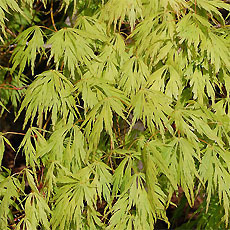 It's color is a beautiful chartreuse with tiny bright yellow flowers in mid-summer. I recommend it for hard soil-low traffic areas, and contained spots in rock gardens. This is the fastest growing groundcover I've ever seen!! Even though it's extremely invasive, it's also very easy to pull up and transplant. 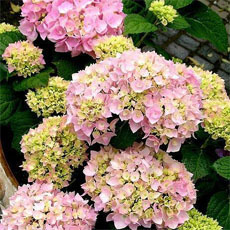 You hardly even have to plant it; just throw it on the ground with a little water the first few days! 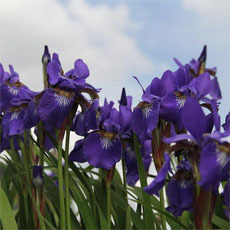 Seems to do equally well in sun to shade, but flowers more & spreads faster in the sun. Does fine in rocky hillside soil; excellent for holding soil on a slope, and much prettier than grass in areas that can't be mowed. EXCELLENT for rock retaining walls. It constantly resupplies itself - once you start this, you'll have an ENDLESS supply. Do NOT use this plant if you never want to "edit" - you'll have to pull some of this up every season, unless you have no other plants! (I garden in the Mid-Atlantic). Nice succulent leaves covered in yellow flowers/bracts in spring. Low to the ground, a good ground cover for sun and part shade, although prefers not to be stepped on. Drought tolerant, but seems to prefer moist soils. Easy to grow. Can be invasive. Removal is easy though, because of very shallow roots. Because of shallow roots, dislikes being translplanted. Good for various places, including rock gardens and for erosion control in small areas. Mine is planted in various places, including beneath a gutter to prevent water washing away soil from my nearby perennial garden. It's taken a bit of research to ID this little sedum correctly. It seems it's often incorrectly labeled as Sedum acre. This sedum is a rapid spreader, sending out long, fleshy stems that root anywhere they come in contact with the soil. It will loosely cover a large area in a short time. 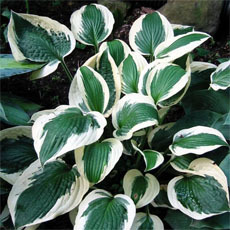 It does well in shade or full sun, although it will benefit from extra watering in the hot sun.